Elizabeth Malone-Johnstone is a Chartered Marketer, boasting years of hands on experience in digital marketing. Her work has spanned publishing, non-profit, corporate hospitality and technology. Working client side and agency side she really has some pearls of wisdom to share when it comes to content and its strategic implementation. 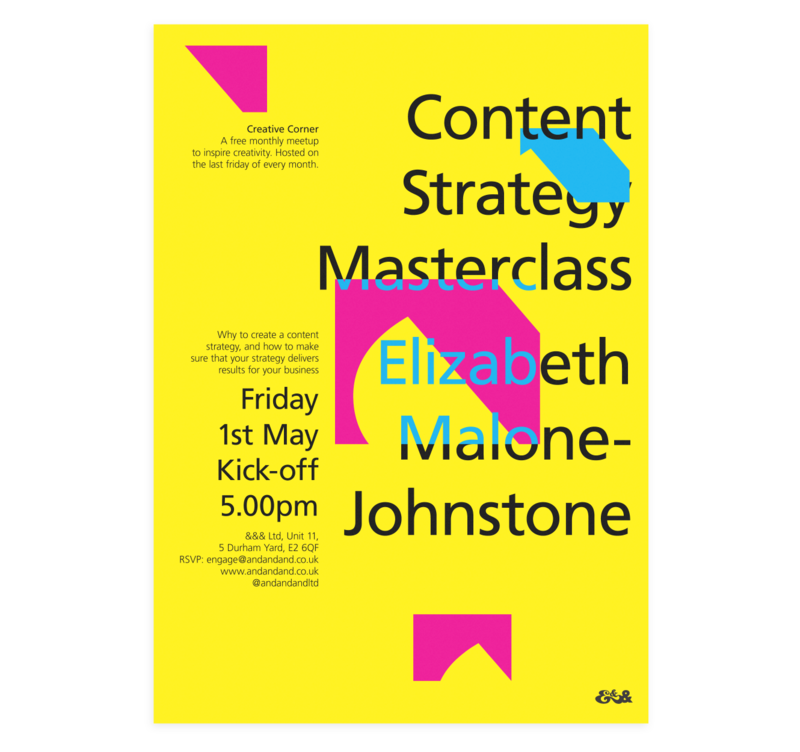 Elizabeth’s Content Strategy Masterclass will unlock the myths, best practise and solutions required for a successful content strategy. Today it is ever more important to understand the thinking behind how businesses of all sizes engage with their audiences and how content strategies play an integral role. Showcasing effective, creative and budget-friendly ways to reach, engage and convert prospective customers online. Giving tips and tricks that can be applied to your approach and your business. Those of you that guess the inspiration for our Creative Corner logotype get a free beer at this event. Checkout a list of up and coming Creative Corner Events. We’ve had such an incredible response to Creative Corner that we felt compelled to share the pivotal moments that have seen us grow from a small gathering to hosting packed out secret venues. Hell Yeah! 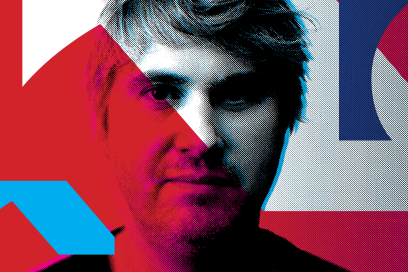 Thurs 26th Nov 2015, The Director & Designer Marcus Lyall will be rocking Creative Corner, sharing his innate ability to make audiences have an emotional response. Disruption doesn’t get better than his latest collaborative project ‘On Your Wavelength’, an interactive light and music composition controlled by your mind.